Our 3D Printing Industry review of the year looks at most interesting and noteworthy stories that we covered throughout February 2017. The month marked an important change in strategy for a major company and also saw new 3D printers, software and material releases. 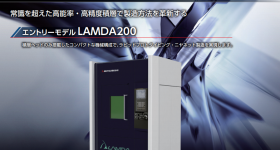 Investment in 3D printing was also an important activity, with the completion of a key deal. February saw the launch of Stratasys F123 series of FDM 3D printers, which the company directed at workgroups tackling product design and development. The materials offered across the full F123 range include ASA, ABS and PC-ABS. And most significantly, the entry price came down to below $20,000. 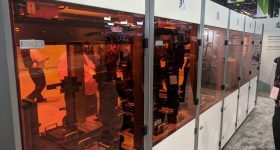 This trend would be continued in 2017 as well-established market leaders like Stratasys changed strategy in reaction to an increasing number of professional grade 3D printers that threatening to nibble at market share. 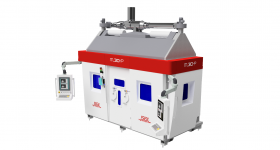 While larger companies still hold much of the IP necessary to work with higher grade thermoplastics, increasingly younger enterprises were finding ingenious ways to build 3D printers with the same capabilities – but at a lower price. Later in the year, we’ll see how a second string to this strategy of maintaining and expanding market share via re-seller channels will come into play. New research at the University of Texas, Austin looked at “Splat Morphology”, or how liquid particles behave when hitting a surface. The study, by Vimal Ramanuj and Albert Y. Tong numerically express splat behavior. 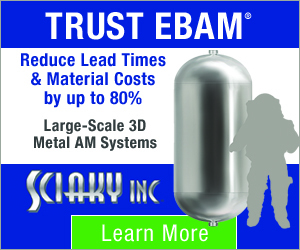 and how it may be used to advance metal 3D printing techniques. Analysing the continuity, momentum and energy of Tin-Antimony alloy droplets undergoing the splat process, the researchers concluded that the morphology was chiefly affected by impact velocity and droplet temperature. Researchers at MIT announced that they had created a 3D printable robotic hydrogel device capable of catching and releasing live fish. The device functions in a similar manner to a claw crane. Water is pumped into the hollow, 3D printed arms which rapidly expand, stretch out, and then contract at several Newtons per second. Since the arms are soft, aqueous and transparent, no harm is done to the fish, The researchers are currently looking into using them for interfaces with delicate human organs and tissue. The hydrogel gripper catching a goldfish. Photo via Hyunwoo Yuk. 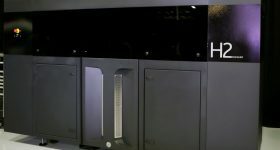 A disappointing hangover from 2015, the team behind the TIKO 3D printer further confirmed that the writing was on the wall with a Kickstarter update on it’s “Highs and Lows”. In this update, TIKO shared some “regretful news”, cancelling pre-orders and winding down operations, effectively placing the company on standby. The company vowed to “speak to investors,” but at the same time refused to refund both investments and the separate shipping cost. It would take until November for the lights to fully burn out on the TIKO project. 3D printer manufacturer MakerBot found itself on shaky ground following an announcement that staff numbers would be slashed by 30%. Our interview with Josh Snider, the company’s newly appointed PR manager, confirmed this figure but dispelled rumors of a collapse. Snider also promised some “breakthrough” products for 2017. 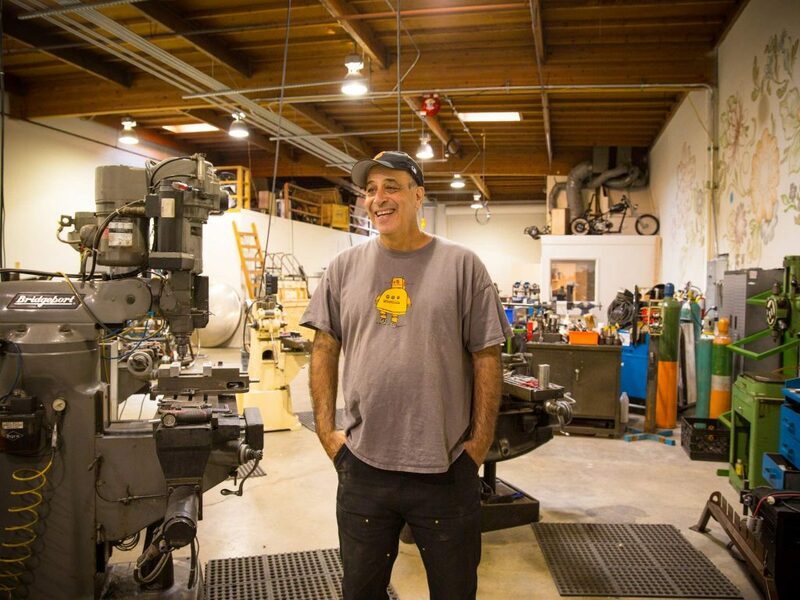 Carl Bass announced his resignation as CEO of Autodesk, following a series of losses and increased control by hedge funds. Bass remained a member of the company’s board of directors. 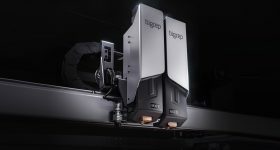 Group Gorge, the parent company of 3D printer manufacturer Prodways, used its 2016 financial results statement to concurrently announce the development of “new proprietary 3D printing technology”. The $281.2 million top-line revenues were an increase of 6% on the previous year. 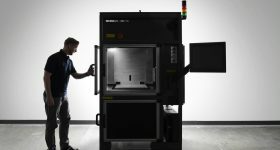 Desktop Metal, a Massachusetts-based 3D printing startup announced that it had raised $45 million in funding, bringing up total funds to over $97 million since its founding in October 2015. 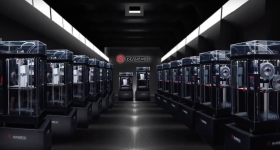 This round of funding was expected to accelerate the company’s move towards releasing a 3D printer later in 2017. 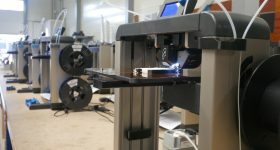 The office of the Mayor of London announced plans for the largest 3D printing center in the UK. The new facility would form part of the regeneration of the Silvertown district of the London Docklands, centered around the redevelopment of the derelict Millennium Mills flour factory. Swiss advanced manufacturing company Oerlikon also announced plans to construct a build a new 3D printing facility in Charlotte, North Carolina. The company stated that its new site would be functional by 2018. 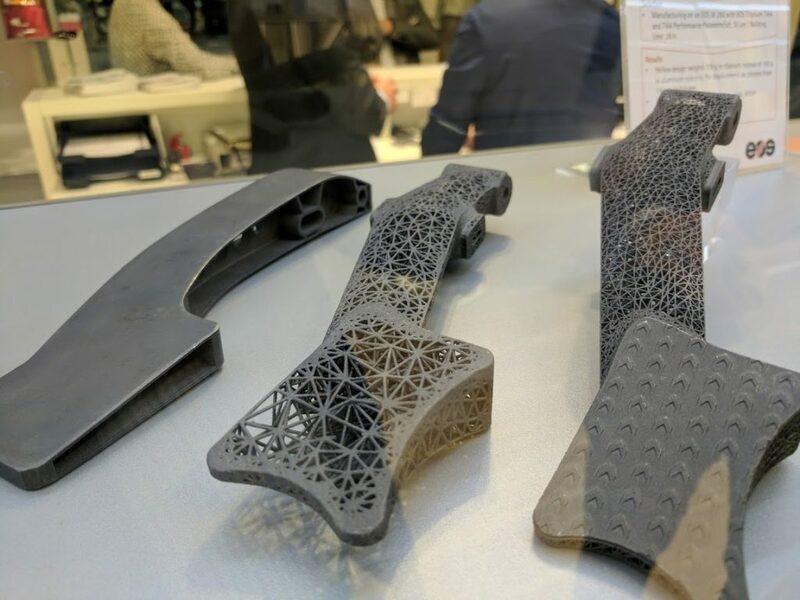 Later in the year 3D Printing Industry editor-in-chief attended the opening of Oerlikon’s R&D center outside Munich and saw how Oerlikon is set to become a serious contender in additive manufacturing. 3D printing found a life-changing use in facial reconstruction surgery for 32-year-old Andy Sandness. To carry out a full facial transplant on Sandness, surgeons from the Mayo Clinic used 3D printed models produced by 3D Systems as a pre-surgical guide. Ahead of the Formula One season in March, Ferrari announced that it was developing pistons for its new engine using 3D printing technology. Together with Italian engineering company Magneti Marelli, Ferrari us creating a new stronger piston made from steel alloy with complex geometries for topology optimization. Throughout 2017, the F1 industry began to relax its stance on NDAs. 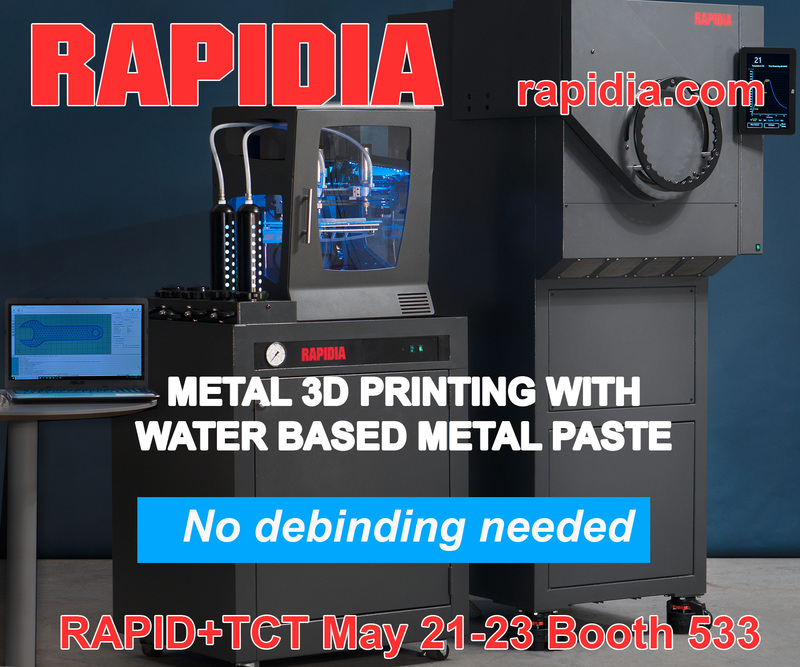 This was a welcome development and allowed many of the 3D Printing Industry to finally boast about exciting applications of their technology. 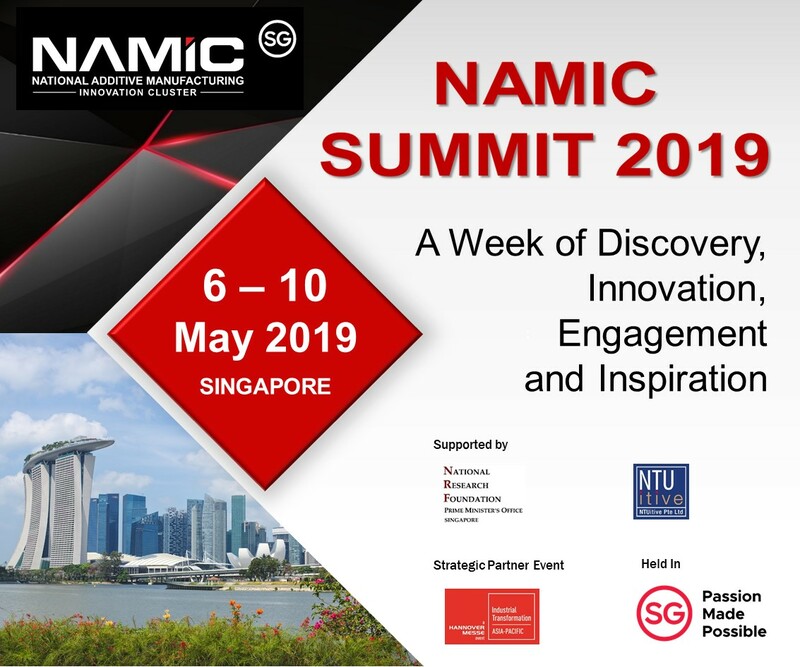 3D Printing Industry had the opportunity to interview a number of pioneers in the field, and hear their insights first-hand. Prof. Jennifer Lewis from Harvard University explained current research in bioengineering and bioprinting cell inks, while Michigan Tech professor Joshua Pearce explained how his research suggested that 3D printing would be suitable for everyday mass markets. 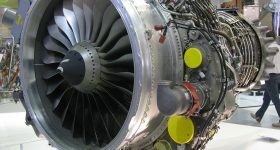 3D Printing Industry also had the chance to meet Leo Christodoulou, a director at Boeing, who revealed that 50,000 additively manufactured parts were currently flying on Boeing Aircraft, explained the precise advantages 3D printing had over other technologies and gave his predictions for the future. Finally, 3D Printing Industry travelled with Scan the World to the private collection of Christian Levett in the South of France, to observe how statues from as far back as Ancient Rome could be 3D scanned and digitally preserved. 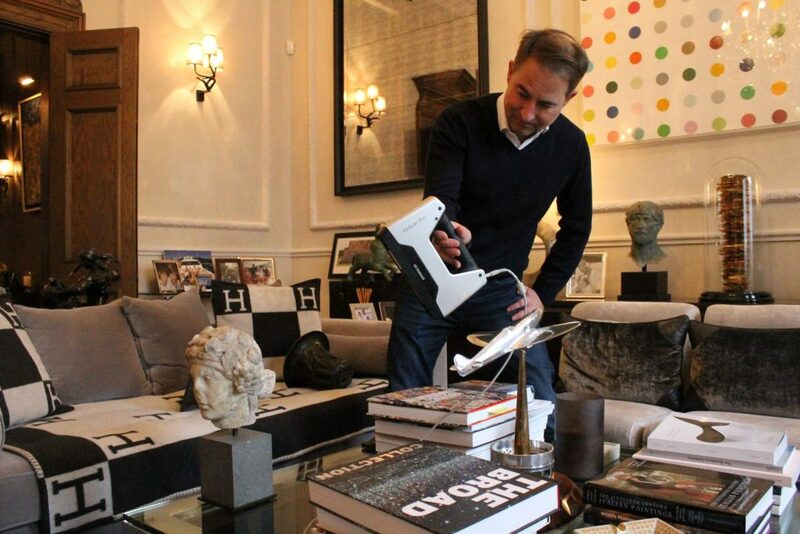 art collector Christian Levett trying out an EinscanPro 3D scanner on the the antique head of Roman Woman in his personal collection. Photo by Jonathan Beck of Scan the World. 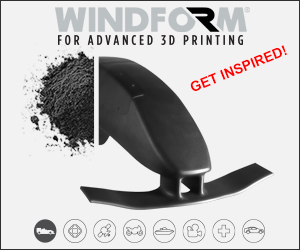 For more annual roundups, subscribe to our free 3D Printing Industry newsletter, follow us on Twitter, and like us on Facebook. Featured image shows a 3D printer from Stratasys’ F123 Series. Photo via Stratasys.